By now, most marketers understand the importance of email to their overall marketing strategy and recognize that it's not dying in the wake of other emerging marketing tactics like social media. But while most marketers realize that email is here to stay, unfortunately, that doesn't exactly mean certain email marketing best practices have caught on. Segmentation is one such best practices. Segmenting your communications can improve your email marketing campaigns by leaps and bounds (read on -- we have the data to prove it!). Luckily, marketers are at least starting to realize the importance of segmentation in their email communications. In fact, according to the MarketingSherpa 2012 Email Marketing Benchmark Report, 32% of marketers say segmenting their email database is one of their organization's top objectives in the next 12 months. Furthermore, 52% of marketers say they have a great need to improve email database segmentation. So if you aren't slicing and dicing your email database into various segments and tailoring the content in your emails to those individual groups of contacts, we think you could use some convincing. Read on to find out why all marketers should be segmenting their email communications. Here's the reality: most businesses, whether B2B or B2C, don't cater to just one type of customer, even if they do only sell one product or service. There is no one-size-fits-all customer, and there are usually several ideal customers for any given business. If you own a plumbing company, for example, you might cater to the landlord of a big apartment building as well as the owner of a single family home. These are two very different types of customers who have very different problems and needs, meaning they should be treated quite differently, right? So if you were doing some email marketing to these two target customers, blanketing them with the same, broad message wouldn't be as effective as sending each a targeted email that spoke to their specific problems and needs. Think about it. If you were that owner of a single family home (hey -- maybe you actually are! ), which of the following two emails would you be more interested in opening? One that promised to provide you with 10 general tips for unclogging drains, or one that is offering 10 tips for unclogging household drains, specifically written to address the problems a homeowner would have? It may sound trivial, but that second email, when sent to a targeted list of homeowners, would perform much better than a broad, general message to an entire list of email contacts. If you haven't already, determine who your various segments of target customers are. These are also known as buyer personas, and here is a great guide to help you identify them. Once you figure out which types of individuals make up your customer base as a whole, segmenting becomes much more understandable -- and easier. And the beauty of segmentation is that the possibilities are endless. You can identify three or four general personas, or get more granular with each of those, splitting them into even more targeted groups and making your segmentation even more effective. Here's another reality: Your email database is made up of contacts who are at varied stages of interaction with your business. This means your contacts are at different points in the sales cycle, and they require different types of information and communication depending on which point they're at. Let's revert back to our plumbing example for a second so I can prove a point. See that guy on your list, Type 'A' Tom? Type 'A' Tom is on your list because he opted in to your email database after reading, say, a general article on your blog about plumbing best practices. He just bought a new house with his bride, and ever since, he's been scouring the web, reading up on various preventative measures he can take to properly maintain his new abode. None of his drains are clogged (yet), and he's not in the market for a plumber at this time. Now let's take a look at your email list again. See Frantic Fred? He just redeemed three separate offers on your website about how to unclog a stubborn drain, bought three different kinds of liquid plumber at the local hardware store based on the recommendations in your ebook, and his drain still isn't budging. His wife told him that if she can't take a shower by the time she gets back from her business trip, he's in the dog house. Seems like Fred might be much closer to making a purchasing decision than Tom, huh? Don't you think your email to Fred should provide targeted content that caters to someone who is in that stage of the sales cycle, rather than an email written with general content in an attempt to also include Tom? In other words, failing to use email to take advantage of prospects' differing wants and needs depending on their stage in the sales cycle is a huge missed opportunity. This may have already become obvious as you read the two sections above, but when you send targeted, segmented email to your audience, your emails are naturally more engaging to that audience. For example, if you sat down to write an email to people on your list like Frantic Fred, and you have a much better understanding of who they are and what they're looking for at that moment, you'll be able to craft compelling copy that truly speaks just to all those Freds. And if you stick to this practice, over time, those Freds and Toms of the world will start to realize that every time they get an email from you, they know the content will be interesting to them -- because it always has been. In other words, you'll reap the benefits of a great sender reputation among your audience. If you think about all the emails you receive as a buyer, aren't the ones you open time and time again the ones whose content always seems to appeal to you? Those vendors are likely doing some great segmentation and targeting! I saved the best for last. Sure, I can sing the praises of segmentation all day, but you're probably thinking, "Show me the proof!" Well, it's true: research shows that segmented email does outperform general, untargeted sends. 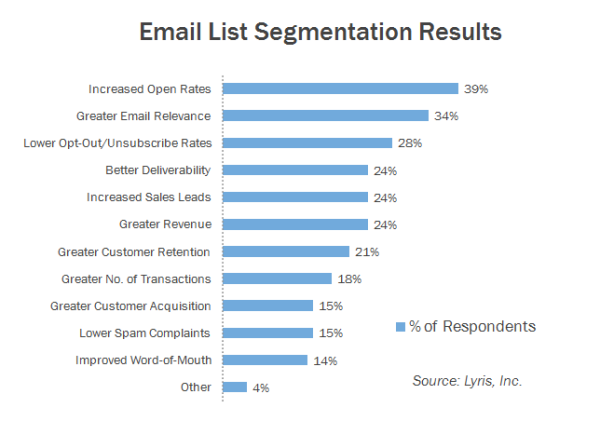 Just take a look at the following data from the Lyris Annual Email Optimizer Report. When asked to indicate their top three results, 39% of marketers who segmented their email lists experienced higher open rates, 28% experienced lower unsubscribe rates, and 24% experienced better deliverability and greater revenue. And as you can see, the list goes on. And that's not all! Through HubSpot's own research, we've found that targeted and segmented lead nurturing emails generate an 8% click-through rate compared to general email sends, which generate just a 3% click-through rate. In other words, targeted sends result in more clicks, which means recipients engage with the content within segmented email and perform the actions you want them to take. Furthermore, Jupiter Research reveals that relevant emails drive 18 times more revenue than broadcast emails. As you can see, all the signs indicate that segmented email is the much better way to go. 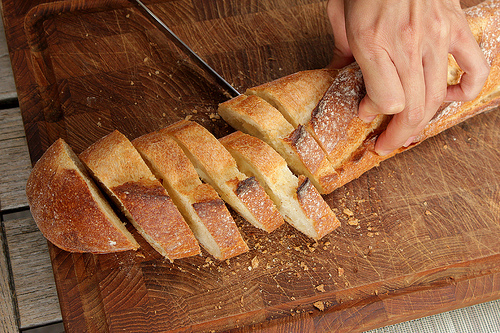 So, Why Aren't More Marketers Leveraging Segmentation? This all isn't to say segmentation doesn't come without its challenges. Remember how we mentioned that 52% of marketers say they have a great need to improve email database segmentation? Well, that's probably because it's not easy. Nailing down your business' buyer personas and the various stages in your sales cycle is just the beginning. 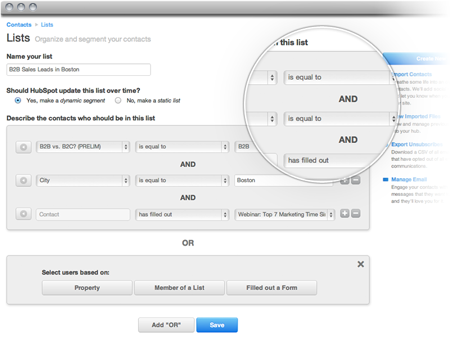 When it comes to the number of different ways you can slice and dice an email list, the possibilities are endless. And without sophisticated marketing software like HubSpot to help you actually do this segmentation (did you hear we just launched an awesome new set of email marketing tools? ), segmentation is too often something a marketer only dreams of. Furthermore, in order to craft compelling email messages for each of your targeted segments, you also need the content to back it up. This means you need to spend the time to tailor your content and offers to suit each of your segments, and we all know how time-consuming content creation can be. But who ever said effective marketing was easy? Segmentation is becoming more and more of a must-have in the world of email marketing, and the marketers who take advantage of it and do it well are reaping higher click-through rates, better deliverability, and generating more revenue from their email sends than their non-segmenting counterparts. Think it might be time to start experimenting with email segmentation?